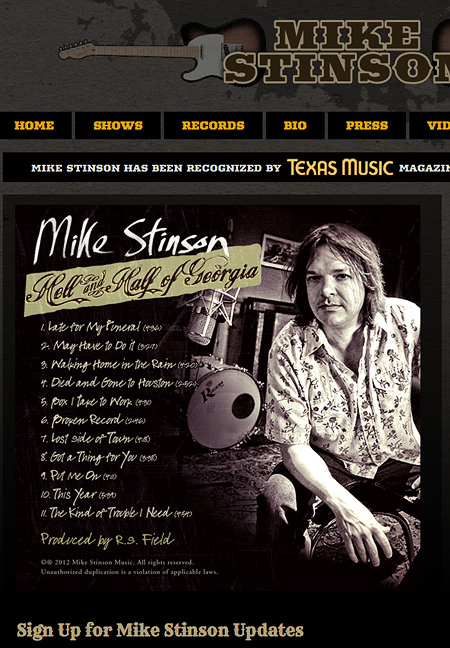 Mike Stinson is a Houston-based singer/songwriter that delivers goods inspired by classic country music icons like Graham Parsons and Willie Nelson. We teamed up for his first website in 2002 when he was based in Los Angeles. Ten years down the road we’ve just released this, his third version of the website, to correspond with the release of his new record “Hell & Half of Georgia”. If you don’t know Mike do yourself a favor and give a listen.